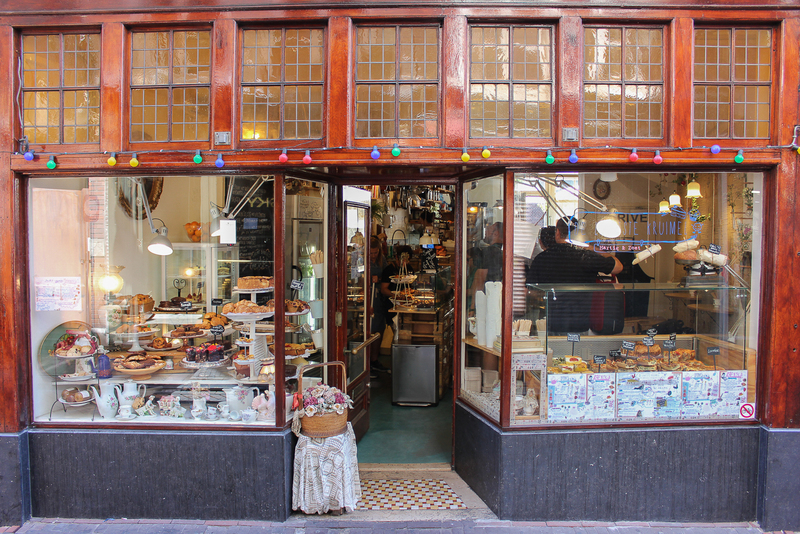 Home » Vegan muffins in this cute bakery in the centre! 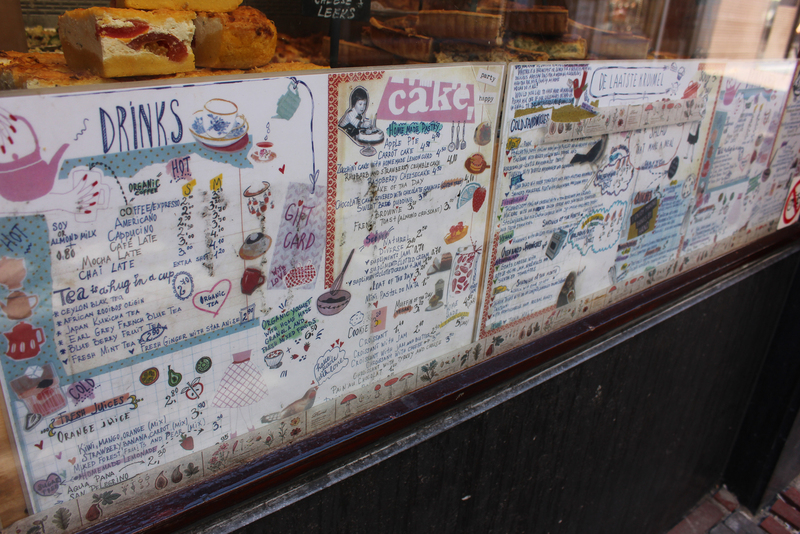 Vegan muffins in this cute bakery in the centre! I’ve cycled past this cafe so many times but for some reason always assumed it was solely a place for tourists, selling overpriced waffles and such. And because of it, I never noticed it. 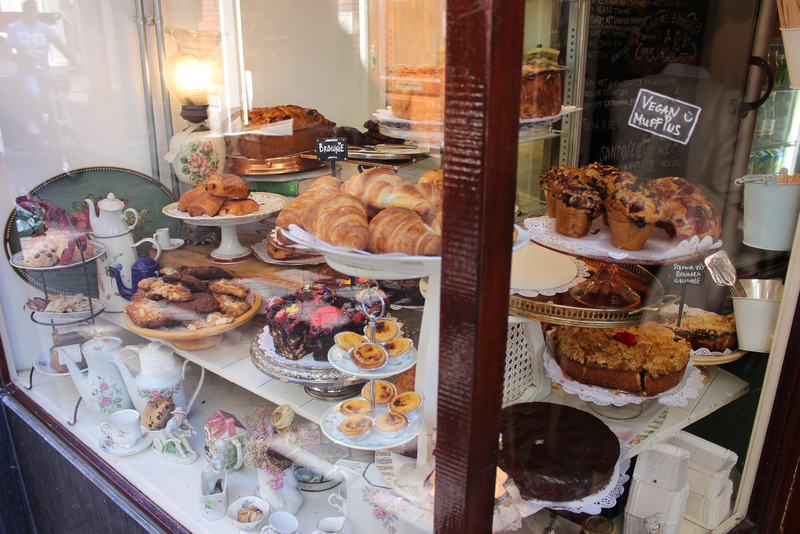 But then a friend told me about this ‘cute little bakery in the centre, selling vegan pastry’. Say what? De Laatste Kruimel is located at Langebrugsteeg – that little street which runs from Rokin to the university at Oudemanhuispoort. 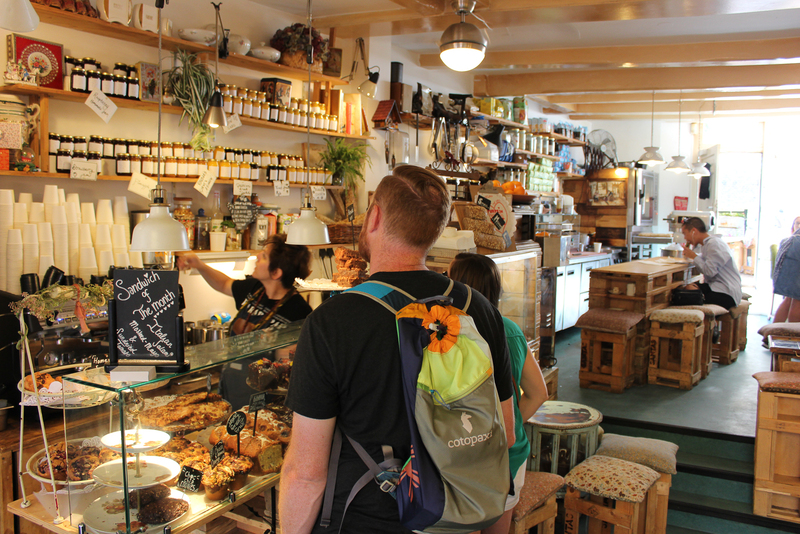 It’s a charming little place which can be super packed, there are several tables inside and like 1½ table outside at the smallest terrace in the back (but equally nice, with a view on the boats passing through Grimburgwal). 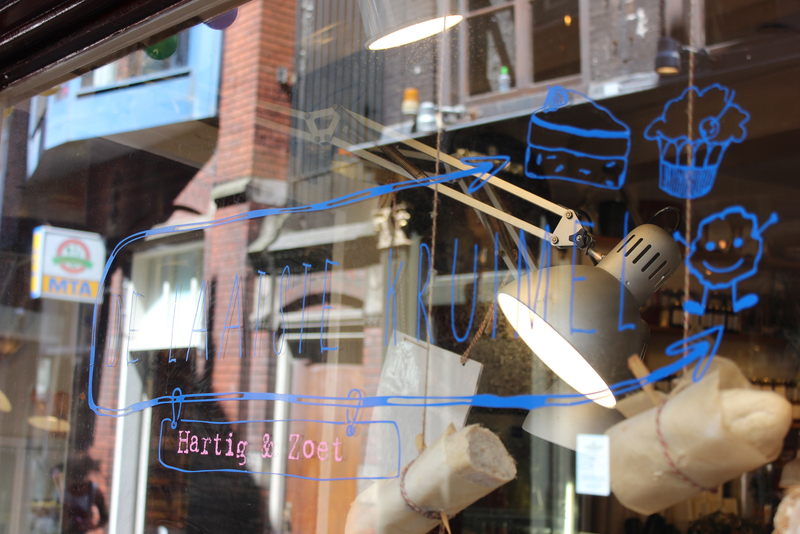 It opened in 2011 by former chef at De Bakkerswinkel Pavel and his wife Ivelina, who made all the illustrations! They always have vegan muffins. 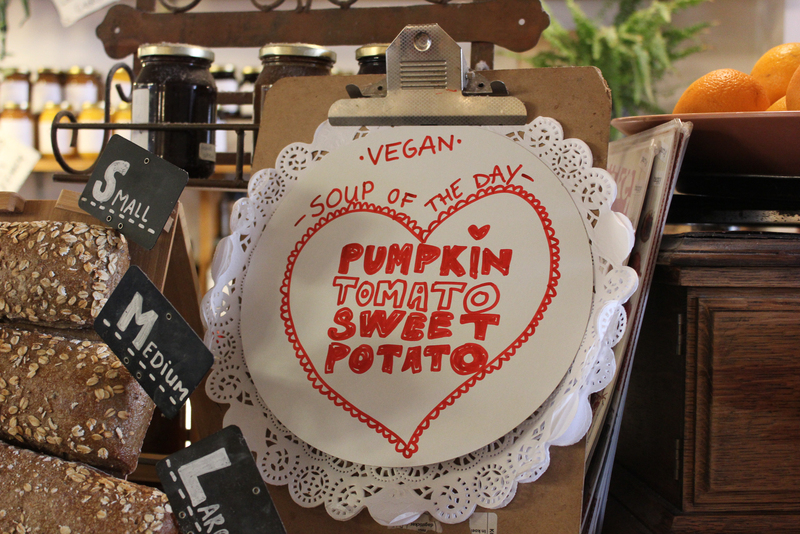 Additionally a vegan sandwich, as well as soup. There’s also soy- and almondmilk for coffee. Students receive 10% discount. Yes that’s right. 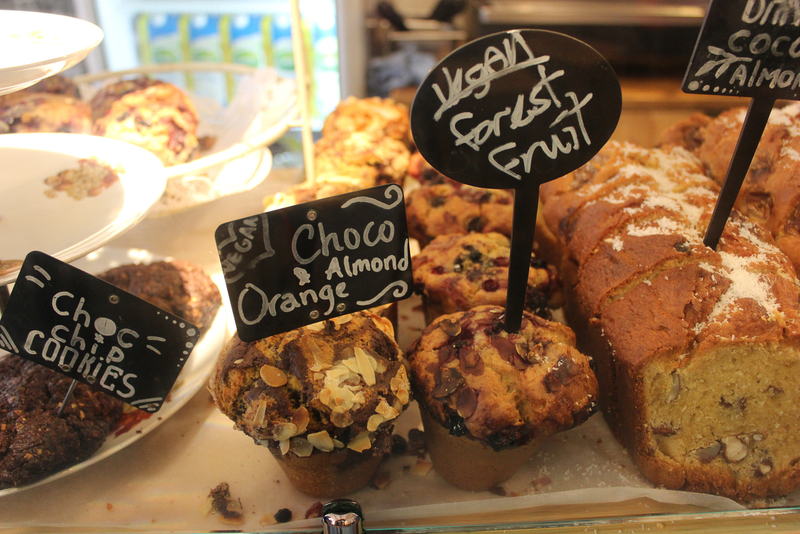 It says vegan muffins!